Every Computer and Laptop ships with Windows 10 Home 64-bit fully installed, updated and licensed with Genuine Microsoft Authorised Refurbisher Keys (pictured above) for Windows 10 Home 64-bit. We only partner with genuine Microsoft Authorised Refurisher's and abide by strict licensing rules. Many re-sellers save by using non-legitimate licensing practices. We recommend you always buy genuine to ensure a long lasting, stable product. We are a Microsoft Registered Refurbisher and only deal with genuine major branded products such as Dell, HP, Lenovo and Fujitsu. We operate across many different sales channels and provide our products to most countries in Europe. 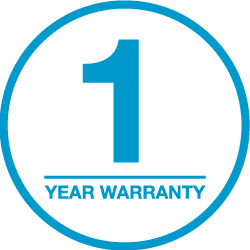 WJM Tech provides a 30-Day 'no quibbles' guarantee on all products, as well as a 12 month warranty. If for any reason you are not happy with your item, please return within 30 days for a full refund, no questions asked. Within 12 months, you can return your item if there are any issues or defects which arise and we will fix the item or replace it at no cost to you. All orders placed before 12:00 will be sent on DPD next day service. DPD offer top of the range tracking features in the UK. You should receive either a text message or email on the morning of dispatch. This includes the ability to change delivery day & notification of a one hour delivery window.